Apparently not. Good for the Tribune-Star for calling Ford out on his campaign deceptions. And for alerting the people of Vigo and Clay counties to the fact that their new senator’s former employer has accused him of misappropriating $56,400. One the other hand, if someone from the paper had been checking court filings on a daily basis, the election may have had a different outcome. So the Indiana Chamber of Commerce wants to make Indiana’s superintendent of public instruction an appointed position. That isn’t necessarily a bad idea. There are reasonable arguments for and against the approach, as the IU Center for Evaluation and Education Policy explained several years ago. And to be fair, the chamber took this position before Hoosier voters elected a Democrat, Glenda Ritz, as state superintendent in 2012. The rationale is that the governor and the schools chief should be on the same page when it comes to education. Chamber President Kevin Brinegar says the governor “is seen as the true leader on education policy” and should have a superintendent who will implement his ideas. Indiana is one of 12 states that elect their chief school officers, according to the National Association of State Boards of Education. In another 12, the governor appoints the education chief. In 23 states, the chief is appointed by the state board of education. But even if you think Indiana’s superintendent should be appointed, there’s a wrong way and a right way to go about making the change. Public schools lost some loyal advocates in the Indiana legislature last week with the defeat of Democratic Sen. Tim Skinner and Reps. Shelli VanDenburgh and Mara Candelaria Reardon. Skinner, a former school teacher from Terre Haute, may have been the most outspoken supporter of public schools in the General Assembly. He lost his bid for a fourth term by more than 1,000 votes to Republican Jon Ford, a business owner. 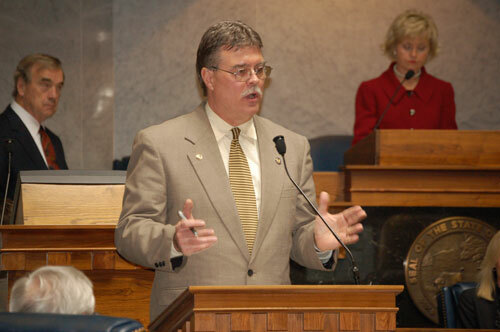 VanDenburgh, from Crown Point, and Reardon, from Munster, were part of a northwestern Indiana Democratic delegation that advocated reliably in the House for public schools. VanDenburgh lost a close contest to Julie Olthoff, a Merrillville ad agency owner. Reardon’s narrow loss to Munster attorney Bill Fine means there is now only one Hispanic legislator in a state that is over 6 percent Hispanic. (That’s Rep. Christina Hale, an Indianapolis Democrat who is part Cuban-American). Republicans expanded their super majorities in both the House and Senate with the election. They now control the House, 71-29, and the Senate, 40-10. On partisan issues – and there are a lot of them in education – Democrats will do well to get a word in edgewise. Senate Republicans put more than $100,000 into Ford’s campaign. Skinner got some help from the Indiana State Teachers Association but it was too little, too late. Olthoff’s campaign against VanDenburgh picked up nearly $75,000 in late, large contributions as her supporters apparently realized she could win. About half came from the House Republican campaign committee and the rest from the school-voucher advocacy group Hoosiers for Quality Education. They say figures don’t lie but liars figure. The axiom comes to mind in connection with claims that District 62 Republican state Rep. Matt Ubelhor is making to attack Democratic challenger Jeff Sparks. Ubelhor, in a flier mailed to Monroe County households and a nasty TV attack ad, uses true figures to create a misleading picture of school funding in Indiana. He labels Sparks “dishonest” for challenging him on the issue and for suggesting Republicans have cut school funding. The flier says Ubelhor “has delivered an increase of $3,952,008″ to the Monroe County Community School Corp.” since 2010. It’s true that state funding for MCCSC has grown by about that much under budgets he and other lawmakers approved. But over four years and with a $60 million-plus budget, that’s just 1.6 percent per year – not enough to keep pace with costs for health care, utilities, etc. In real terms, it’s arguably a cut. Ubelhor also says state spending for MCCSC has increased every year since Republicans took control of the House. The flier includes a graph that shows spending decreased in 2010, when Democrats had a majority. But Democrats had nothing to do with that cut. It happened because Republican Gov. Mitch Daniels unilaterally cut state spending on schools by over $300 million as the recession decimated state tax revenues. For MCCSC schools, that meant a $3 million loss. As David Emmert, general counsel with the Indiana School Boards Association, pointed out Friday on WFIU radio’s “Noon Edition” program, Indiana schools continue to operate at pre-recession funding levels – while the state sits on a $2 billion budget surplus. Since 2009, before the Daniels cut, state funding for MCCSC has grown by $900,000 – only 1.4 percent after five years. Per-pupil state funding has barely budged. The Ubelhor flier also employs a common but unfortunate trick in the graph showing trends in MCCSC funding. It sets the baseline for the vertical axis at $5,600 per pupil, not at zero. This makes it look like funding has more than doubled since he took office, when nothing remotely like that has happened. This is a hot contest, and the House Republican Campaign Committee has dumped $215,000 into Ubelhor’s campaign in the past two weeks. Apparently this kind of desperate tactic is the result. Referring to Sparks, the flier says: “We don’t need more politicians who are willing to do or say anything to get elected.” Look in the mirror, Rep. Ubelhor.